It’s time for the Choosing Ceremony, are you ready? Have you made your choice? If not, there is no need to worry! We are here to help! We have pulled together some awesomely fun games and activities to make your Choosing Ceremony the one EVERYONE will be talking about! Whether they are Candor, Abnegation, Amity, Erudite, Dauntless or even * gasp * Divergent they will surely love it! What’s even better is that we have created an “I am Brave” Printable Party set to help coordinate your Divergent party theme!! Check out our fun games and activities and then check out our, I am Brave Party Printable Set and temporary tattoos located at the bottom of the page! Each faction of the Divergent Series has a Manifesto, which in short, are the rules and/or laws that a faction abides by. The Manifesto of each of the factions is different, depending on what their beliefs are. There are also penalties if the Manifesto’s are not followed, for example the most extreme is becoming factionless. Why am I telling you all of this? Because creating a Manifesto for your party is a great way to get people talking and involved! Once guest have arrived have everyone sit and then pull out pen and paper. The objective, come up with laws/rules that you will all have to follow for the duration of the party. After the rules are decided pass out 5 clothespins to each player. If they are caught not following the rules they lose one of their clothespins. When all five are lost they are now considered to be Factionless. The person with the most clothespins at the end of the party wins! Abnegation is about being selfless. They are constantly trying to help others and do better for the community. To bring their presence to your party and a great way to give back to the community it to set up a canned food drive! Add a note with your invitation asking everyone to bring at least one non-perishable item or canned good to the party. Have a box decorated by the door for guests to drop their items in as they enter the party! After the party take you donations to a local food bank or church! 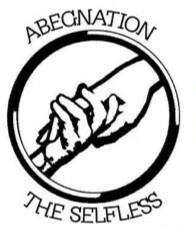 The symbol for Abnegation is a circle with two hands holding each other. To celebrate this a great game to play is Hula-Hoop Pass! You will need one (1) hula-hoop and a large area to play in. Have players form a circle and join hands with the person on either side of them. The host will start the activities by placing the hula-hoop on their left wrist before joining hands with the person to their left. (So that the hula-hoop is resting on the top of their wrist) While keeping their hands joined the players must move the hula-hoop over their body and pass it to the person on their right, until it goes all the way around the circle. Another fun version of this game is to break off into equal teams and for straight lines holding hands. See which team is able to get the hula-hoop from one end of their team to the other end, without letting go of each other’s hands! 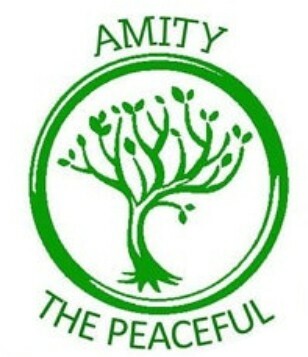 The faction of Amity is all about peace, working together and living in harmony. Marshmallow toss is a perfect game because it’s all about teamwork! Two players will have to work together to be the first team to catch 5 marshmallows! You will need a plastic cup (red solo cups work great!) for each team and marshmallows. Break your guests up in pairs of two. One will take the solo cup and the other the marshmallows. Form two lines with the cup holders on one side and the marshmallow holders on the other with about 3 yards between the two lines. The first team to get 5 marshmallows in their cup without using their hands or picking them up off the ground wins! A classic game that again focuses on teamwork! Have your guest break into two teams giving each team a pad of paper and a pen/pencil. Decide which team will go first. One team will be the “guessers” the other team will be the “thinkers”. The “thinkers” will decide a phrase among themselves to pass to one (1) member of the other team, usually a book, phrase, movie, or song. The person who gets the phrase or quote from the “thinkers’ is the person will be the “actor” that will play out the phrase to be guessed by the rest of their team. A timer is set for 3 minutes, the “actor” may not speak, point to objects in the room, or mouth words. The “actor” must use gestures or answer questions from their teammates by nodding ascent or shaking their head no. The teammates must try and guess what the phrase is before time runs out. If the teammates guess the phrase then they win that round of play. If time runs out and the phrase is not guessed then the “thinkers’ win that round. When play comes to an end the team that has won the most rounds is the new Charades Champion! If you haven’t noticed from browsing our site, we love Truth or Dare! It’s a fun simple game that all kids seem to love! 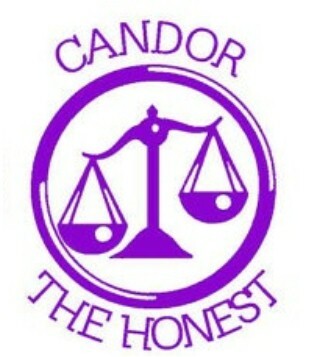 Here we call it Candor or Dauntless. 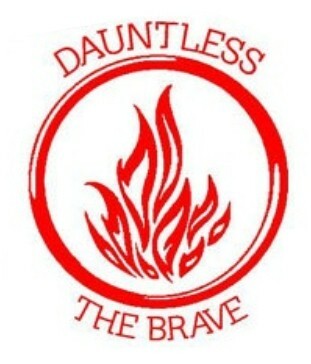 Candor for their honesty is Truth and Dauntless for their lack of Fear is Dare. Check out our Truth or Dare pages for some great ideas to use! We also have our fun Truth or Dare Scavenger Hunt that would be so much fun as well! Do you have a lot of guests coming to your party that may not know each other all that well? A great game to help get the party started is Two Truths and a Lie, well in our case we are renaming it Dishonest or Honest. Each player takes a turn telling two (2) truths and one (1) lie at a time. The object of the game is for all the other players to vote or guess which is the lie. Once they have made their decision the person must admit which are true and which is false. The game continues as the next person tells their two truths and a lie… and so on. There isn’t really a winner per se; it’s more of a fun game to see who can get by with what! eruDite - wait...who said that? 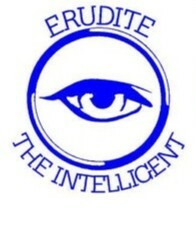 The Erudite are smart… way smart! Intelligence is their thing after all! So what better way to figure out whom in your group may fall into this faction than a test of memory! On what better subject than Divergent, Insurgent, and Allegiant! To prep for this game write a list of quotes from all three books. The number of quotes is dependent on how long you would like the game to last or if you would like to play multiple rounds. Have your guests separate into two teams, for larger crowds you could do more. The host will be the MC of the game that will read the quotes out loud. A coin toss or a roll of a die is a great way to decide which team will go first. Once that is established the host will read the quote. 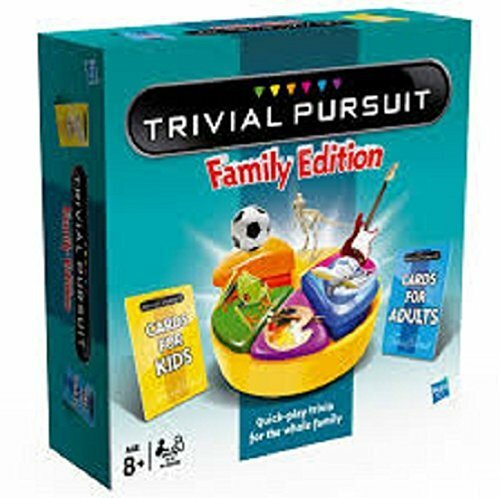 If the team guesses “Who Said It” correctly they win a point and get to go again, and so on until they are unable to answer correctly then the other team gets their turn. After all the quotes have been read the team with the most correct wins. If there is a tie a tiebreaker must be asked. 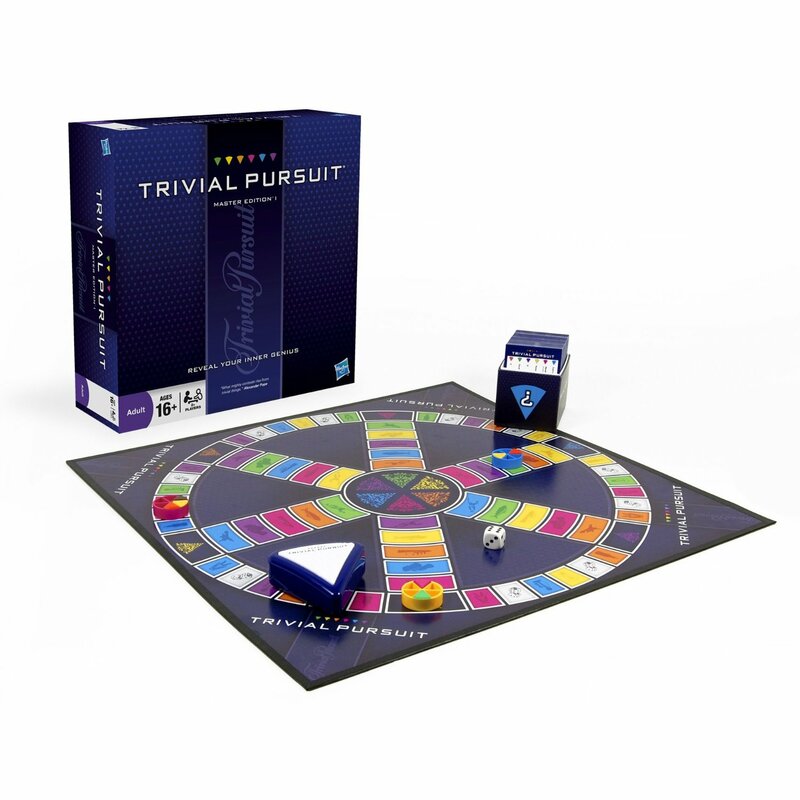 To further test the intelligence of your friends and to figure out who in the group is definitely an Erudite why not pull out the classic game of Trivial Pursuit? It will test their skill beyond just the books! The game has evolved throughout the years and has many difference versions! Check out the two that we found! Dauntless have no fear and are brave beyond measure, always jumping to and from trains.. Building to building. Of course I am not going to tell you to do something like that, safety first! But there are other games that you can play that are so much fun! Chaos is one of those games! You will need chairs lined up along the wall across from each other and two people willing to stand on either side and pull a chair out of the mix each round, we will call them the Instructors. Break guests into two teams and have each team sit on one side of the room. I would then state the rules while you have their attention. No shoving, getting to rough or violent! At the sound of GO! Both teams will rush to the other side of the room in hopes of finding an empty chair. Think big kids version of musical chairs. As they rush to the other side of the room the Instructors will reach in and remove a chair from the mix. The game continues until there is only a chair on each side left. Both players are the winners! Wormy addition! You will need two to three boxes of spaghetti cooked in advance and cooled, a large bowl or container big enough to hold the spaghetti (preferable NOT see through to make the game a little harder), olive oil, and 3 packages of gummy worms. These realistic looking ones from Oriental trading will add even more fun to the game! Toss the spaghetti with the olive oil to create a slipper mess. Place the gummy worms in the bottom of the container and then pour the spaghetti on top. Each player will stick their hand into the container and grab one (1) gummy worm with out hesitating. They have one minute to find a slippery little worm! For more Face your Fear games check out our Fear Factor Party Games. I know, I know, a tattoo station? you are probably thinking. YESSSS! First, it is a great activity/station to have set up at your party, so much fun and a big part of the books that I could not leave it out. Second, it’s TEMPORARY TATTOOS and painless! Washes off when you take a shower! We have made it easy and all you have to do is purchase our premade PRINTABLE “I am Brave” Temporary Tattoos along with the paper and print out on your inkjet printer! PLEASE NOTE **** The temporary tattoos will NOT work if not used with the special temporary tattoo paper!! Whether it be the one mentioned above or one similar! Inkjet printers are recommended as well!